Connect with S&S Air Conditioning Today! Experience a comfortable, cleaner, healthier, energy efficient space with S&S Electric Air Conditioning Systems! Our goal is to make each home a personalized experience by providing expertly installed systems by our award-winning team that add comfort and convenience, while increasing the value of the home. This innovative approach has helped our company grow to be the preferred home systems provider in West Central Florida, a region that spans the Gulf Coast from Hernando to Collier counties. 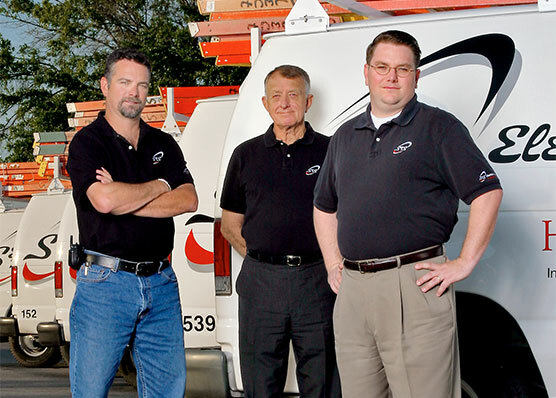 Since 1947, the Smith family has been installing confidence for Florida homeowners, homebuyers and homebuilders. If you’re an experienced electrician or installer who delivers quality workmanship, displays a strong customer orientation and is looking for a career, not a job, then S&S Air Conditioning is the place for you.